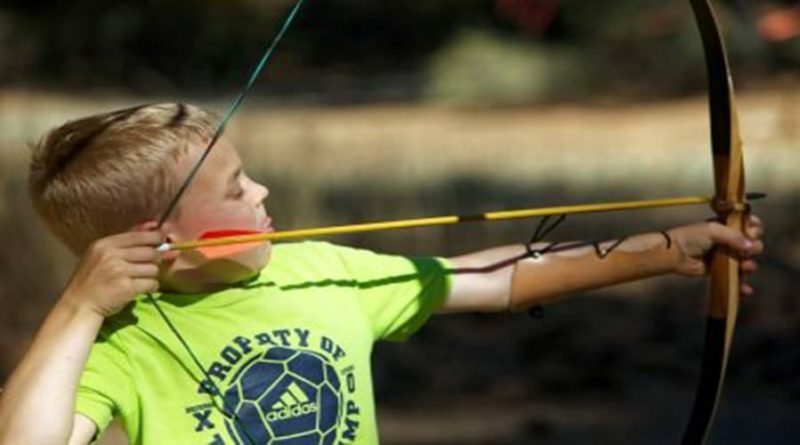 Both compound bows and recurves are great for beginners to start practicing at the archery range,. However, unlike compound bows, a recurve bow usually requires strong arms and back to be able to consistently aim with precision. No wonder international gaming societies welcome most archery competitions to be held with recurve bows (Another reason is their precision). Both have their pros and cons but today we have decided to review the best recurve bow available for beginners at an affordable practice. 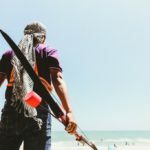 As a beginner, you should avoid putting your money in any of the expensive units and at the same time you should consider the draw weight of your equipment too. As a rule of thumb, a good recurve bow (or rather best recurve bow in this context) for novice archers shouldn’t have a draw weight over 35 pounds. But what is this draw weight you ask? 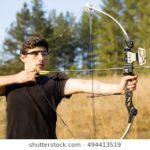 If the draw weight is more than the level of your physical fitness allows, you will absolutely fail to handle the bow in a manner it is meant to be. Beginners who make that choice are not able to hold the string while aligning the shot, their arms start shaking and they end up missing miserably. This is why we suggest that you never look for a draw weight above 35 pounds in your best recurve bow options until you get stronger and more accustomed to target-shooting. You can, however, go lower according to your own body weight. Once you have established what draw weight is right for you, you can move on to buying your favorite bow in a similar draw weight model. As our best recurve bow pick for novice archers, we have decided to go with the “SAS Spirit 66 inch Take-Down Recurve Bow” (Check Price). 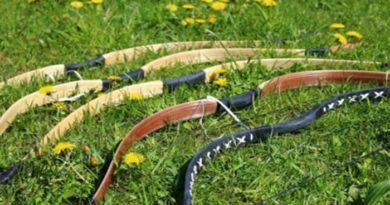 We took only take-down bows in consideration for comparison because it is important for beginners to learn different components of a bow and how to bring them together. SAS are established manufacturers of bows and this unit is absolutely an example of their excellent craftsmanship. 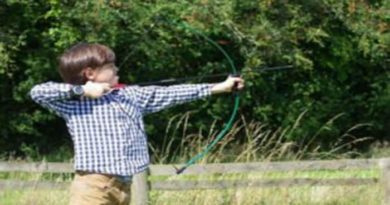 It is certainly the best recurve bow for backyard family fun and occasional visits to the woods with kids. The limbs on the bow are surprisingly flexible because they are made of fiberglass and then coated with maple lamination. The grip and riser are made up of Chuglam, Gmelina Arborea, and Beechwood giving it its pale yellow color. These constituents are selectively brought together in a very sturdy fashion; it is very difficult to break this equipment. The draw weight options on the SAS Spirit range from 22 lbs. to 34 lbs. with a difference of 4 lbs. in each model. It is fit for women, boys or girls of all ages and is available in both left and right-hand orientations. Also, the 66 inches length makes it great to be used by anyone over 5 and up to 6 feet. It is probably not the best recurve bow for full-time hunting as we think anything below 35 lbs. of draw weight may not get you the result you desire. However, it can shoot an arrow easily up to 30 yards and is extremely easy to use even for first-timers. But that shouldn’t have you over-excited and head for the bigger animals in the jungle because bows under 35 lbs. of draw weight are limited in terms of the force required in the traveling arrow to pierce the target as well as it should. While hunting, you always want to be able to hit a target from a distance of more than 20-25 yards while making sure that the animal dies quickly and does not suffer. 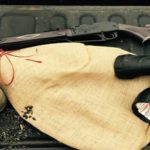 Perhaps what makes it extremely valuable to beginners is the availability of equally cheap complimentary products, like arrows, string wax, arrow rest, etc. The limbs and the grip are very easy to bring together, however, putting the string in place could be a little tricky and can be made easy with the help of a stringer. 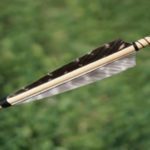 Along with the stringer, you may also want to get an arrow rest to be able to comfortably hold your arrows on the string. They are both easily available at archery shops and they are very cheap. These supplements usually don’t come packed with these kinds of bows and are needed to be purchased separately. Other than these, buy a target and some arrows, and you’re good to start aiming. 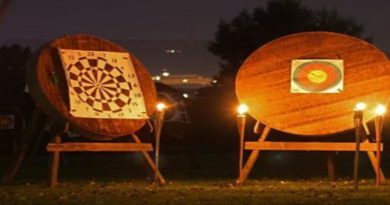 We’re sure that it will fancy your taste, will become your best recurve bow for target practice, and that you’ll soon be consecutively throwing bulls-eye worthy shots. Also Check My Preferred Buying Guide. 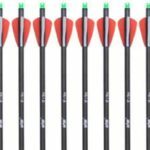 Best Recurve Bow | OMP Adventure 2.0 Right Hand Recurve Bow.